This year’s CO-OP and Careers Celebration of Excellence was a great success, with over 100 CO-OP employers, students and University of Ottawa staff and faculty coming together to network, share their experience in the CO-OP Program, and celebrate the recipients of the 2016 CO-OP and Careers Awards. 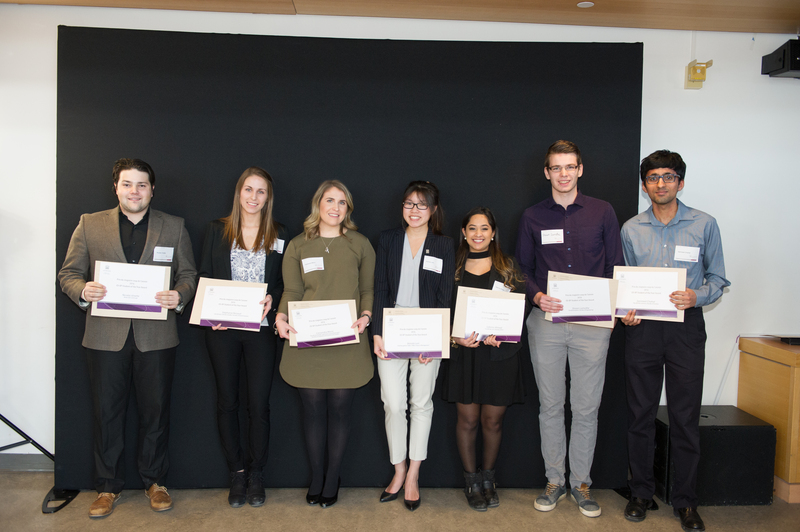 Every year, several awards are presented to individuals who have contributed to the ongoing success of the University of Ottawa’s CO-OP Program. The Student of the Year Award is presented to students who demonstrate on-the-job and academic achievements while contributing to the well-being of their community through extra-curricular activities. This award is presented to seven CO-OP students (one student per faculty). A University Winner is then selected from the Faculty Winners and announced at the Celebration of Excellence. The CO-OP Employer of the Year Award is given to four CO-OP employers, nominated by the students, who are recognized for their outstanding mentorship, the calibre of their work-term, and their enthusiasm to inspire and motivate. In addition to the four winners, four honourable mentions are also recognized. The Carmen Poulin Excellence Award recognizes exemplary contributions made to the Co-operative Education Program at the University of Ottawa. This year the Carmen Poulin was awarded to RBC for their large investment in the new CO-OP entrepreneurship program. The CDC Employer of the Year Award is given to employers who provide support to the numerous initiatives carried out by the Career Development Center (CDC). This includes attendance at several fairs and events. To see this year’s full list of award recipients, please visit the Awards and Contests page of the CO-OP Programs website.